A new report lists two of Arizona’s state universities among the top 25 in the nation for tuition hikes. Arizona State University checked in at 18 and the University of Arizona was closer to the top of the list at number four. This comes after Republicans cut about $99 million from public university budgets and about $16 million from community colleges across the state. Arizona continues to collect recognition for being at the bottom of the education barrel. A recent U.S. Department of Education report announced that in 2013 Arizona tied with Alaska for the dubious distinction of having the lowest college completion rate in the country. Only 29 percent of students completed a four-year degree within six years. The report stated the national average is 55 percent. The report also said Arizona students face the highest student loan default rate in the nation. Arizona’s rate was 18 percent compared to the national average of 11 percent. While this information is disheartening, digging into the data a little more does provide some positive information. The overall college completion rate includes students from public, private and for-profit universities. The report lists each separately, and the good news is that Arizona’s public universities have a 57 percent graduation rate – two points higher than the national average. An Arizona Board of Regents spokesperson recently told a reporter that the current completion rate is nearly 60 percent for 2014-2015. 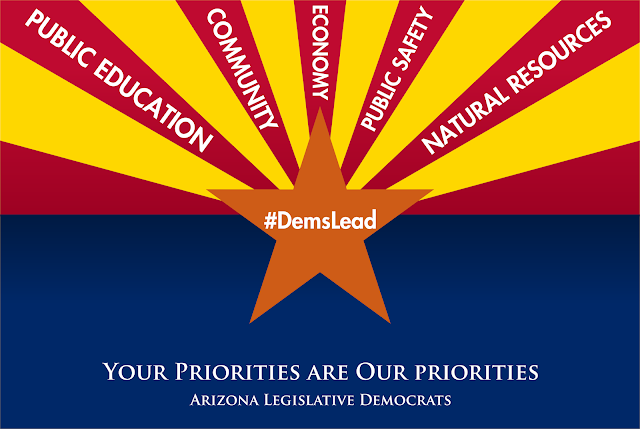 Democrats see the potential in the students attending our state universities and community colleges. We believe that investing in our students is one of the best ways to ensure our economy is strong and stable. We’re proposing substantial investments in our universities and other educational institutions. To see a summary of the Democrats’ full, five-step plan for moving Arizona forward, which includes investing in Arizona students, click here.